The comic playwriting team of Reed Martin and Austin Tichenor has created several funny send-ups of classics, known as the “Complete (abridged)” plays. The best known is the wildly funny “Complete Works of Shakespeare (abridged)” which even had them falling out of their chairs in London. Thus, a chance to see their more recent concoction, “The Complete History of Comedy (abridged)” here in the Los Angeles area seemed a no-brainer. Now at the Falcon Theatre, it has another hallmark, being the last show of the last season orchestrated by Falcon founder, the late Garry Marshall, himself no slouch in the comedy department. Sadly, though there are a number of funny moments, this “Complete History…” does not quite hold up. Well performed by a trio of very talented, high-energy and versatile actors, it still suffers from two essential flaws: a convoluted and unfunny construct which becomes the show’s driving force and supposed aim, and too little material which is funny enough (or not too dated) to power a full two acts of performance. First, the construct: supposedly a famous Chinese manuscript written by the brother of “The Art of War” writer Sun Tsu, called “The Art of Comedy” (by Ah Tsu… get it?) has been uncovered in a trunk, though it is missing its final chapter. The discovery was made thanks to guidance from a mysterious man in a bowler hat and clown nose. Presenting this fictitious book, and trying to figure out its final chapter, becomes the focus of the show, leading to the uncovering of the identity of the bowler hatted mystery force which brought the book to light. The best of what follows is a true homage to the history of comedy: the introduction (to many) of the characters in commedia dell’arte, including use of an actual slap-stick, definitions of various “takes”, burlesque silliness, visual comedy of various kinds, and the recurring gag of potential attack with cream pies. There are also slide shows illustrating what is, and what isn’t funny. For the most part, these work too, though some seem a bit forced. There are send-ups of medieval Catholicism, modern politics, and even an homage to Chekhov, whose wry comic takes on the self-absorption of the Russian aristocracy were produced as if they were tragedies. But there is a lot of dated material. For example, a big musical number about the Supreme Court makes fun of a very alive Antonin Scalia, though he has been dead for over a year. There are other references to personalities only the older members of the audience will remember with that detail, particularly Joseph McCarthy (or Edgar Bergen and Charlie McCarthy, for that matter) and Richard Nixon. Indeed, between this and the need to resolve the “who is the man in the bowler hat” scenario, the second act begins to drag and a lot of it simply becomes unfunny. One cannot fault the performers, however. Zehra Fazal, Marc Ginsburg, and Mark Jacobson prove quick-change artists and creative cross-dressers, interact with the audience and each other, handle physical comedy with great polish, and get just as much as can be gotten out of the material they are handed. Director Jerry Kernion keeps the timing as good as it can be, making the sometimes positively frenetic pace of the thing seem natural. One wonders whether he was allowed – by the playwrights’ people – to insert more updates than a few slides of current political figures into the mix, because given the general artistry of his and his performers, one would think he would have done more to make the thing current if he could have. Stephen Gifford’s set is just about perfect, setting a specific tone from the very start and facilitating all those costume changes. Those costumes, by A. Jeffrey Schoenberg, and Warren Casey’s many and varied comic props, do as much as absolutely possible to make this show as funny as it is. This is a grand effort by a lot of people. It’s just that, by the second half, much of it is simply not funny. So, sadly, although “The Complete History of Comedy (abridged)” has some admittedly very laugh-out-loud moments, the lack of consistency and the oddly unsatisfying premise mean that this show does not live up to its potential. Is it terrible? No. Is it poorly done? Also no. It’s just not anywhere near as good as it should have been, but that’s as much the fault of its authors as anything else. With the advent of the holiday season, the demand for something appropriate rises, and theaters – particularly small theaters – begin to struggle with what to provide for their patrons. There is always “A Christmas Carol,” and a wide variety of versions of it, and of plays about people performing it, exist. Still, that has been done so much that a theater out to make its own mark may turn to something else. Sierra Madre Playhouse has pushed aside Dickens for Laura Ingalls Wilder, and brought back “A Little House Christmas” first produced there two years ago. Then it was all rather precious and stagey. This year’s production is thus a revelation. With a new, strong and naturalistic cast, a director who understands how to make the piece flow, and a feel of continuity – even with the injected period songs which once stood out like interruptions to the tale – this year’s “Little House” proves charming and sweet, but organically so. The story is derived from one in Wilder’s “Little House on the Prairie”. Christmas approaches, the Wilders invite those who aided them as they built their barn to come out to the country for a celebration. Unfortunately, a gully-washing rainstorm begins, the creek starts to rise, the guests must leave quickly, and it soon becomes possible that even Santa may not be able to get to the Wilder home in time for the 25th. What will the Wilders do? Director Alison Eliel Kalmus not only has a feel for the pacing and tone of this work, she also operates the AKT children’s theater company at SMP, from which were supplied most of the talented children who take significant parts (many of which are double-cast) in the play. The quality of the child actors proves particularly important in a story told from a little girl’s perspective, but the adults are not slouches either. Among the adults, Rachel McLaughlan’s Ma radiates practical hopefulness, even as she seems weighted by the worries prairie women faced, and sings beautifully when called upon. Rich Cassone gives Pa the open-hearted life force one expects, balanced realistically with the limitations of time and place. Thomas Colby humanizes the lonely bachelor Mr. Edwards with a genuine heartiness and warmth far from the potentially saccharine rendition one almost expects. Barry Schwam makes family’s uncle – a man unglued by his Civil War experiences – a touching piece to this puzzle, while Valerie Gould’s extremely human Mrs. Oleson charms far more than the expected stereotype. The children who performed on opening night were likewise un-stagey, and brought a humanizing force to the proceedings. Most especially, Sofia Naccarato’s innocently charming Laura and Katie-Grace Hansen’s Mary showed character, timing, total engagement with story and character, and – especially in Hansen’s case – strong and secure singing voices without that harsh Andrea McArdle overtone so common in youthful stage performers. Adam Simon Krist and especially Patrick Geringer made the visiting young cousins likable and familiarly boyish. Samantha Salamoff, called upon mostly to be disgusted and moderately disengaged, did this well as the snobbish Nellie Oleson. One of the real stars of this production has to be Stephen Gifford’s set, which takes all these remarkably realistic people and places them in time and space. Tanya Apuya’s costumes are likewise accurate and character-appropriate. There are little glitches now and then: people who are supposed to be soaking wet aren’t, and little girls sit around in their nightdresses on a winter evening when there is no dry wood for the fire without even wearing shawls, but somehow these seem minor when compared with the general genuineness of feeling this production has to offer. In brief, this rendition of “A Little House Christmas” proves itself to be far less cloying, far better paced, and far more cohesive than SMP’s previous rendition. As a result, it makes for a fine, and comparatively unique, holiday treat for young and old. Certainly, it makes a break from the predictable Christmas fare. Long ago, my sociology professor made much of the fact that there were not specific social classes in the United States: that, like the Horatio Alger model, everyone had the ability to rise. This has become more and more debatable in the last half-century, as social forces clamp some into specific spaces in our national culture , not all of which are related to race. In illustration, find the McCoy Rigby Entertainment production of “Good People,” David Lindsay-Abaire’s examination of class and culture in Boston, now at the La Mirada Theatre for the Performing Arts. Lindsay-Abaire, whose powerful examination of the nature and collateral damage of grief, “Rabbit Hole,” was a signature piece of last year’s MRE season, looks at the issue through the lens of a “Southie” – someone from traditionally blue collar, Irish, South Boston. Margaret is a middle aged Southie at the end of her rope. Having just lost her most recent job, in part due to her struggles to care for her disabled adult daughter, she’s desperate for work. Her lifelong friend bumps into an old classmate, briefly Margaret’s love interest, who escaped the life of South Boston for a career as a doctor. Margaret decides to push him to lift her up, at least as far as giving her a job. Has he become a “lace curtain Southie,” thinking he’s better than everyone else? Is her anger toward him justified? Is the lifestyle he now lives the dream Margaret thinks it is, or does class create struggle even there? What, in the end, are these characters’ actual truths, as the two possible endings for a Southie kid come face to face. Katie MacNichol creates a distinctly edgy, biting quality to the desperate Margaret: quick to assume, aggressively judgemental and painfully honest, yet gifted by a sense of community on her home turf. As her buddy Jean, Gigi Bermingham offers up the same cynically humorous view of their individual desperations, while Anne Gee Byrd makes Margaret’s upstairs landlady obstinately practical, but caring in her own distant way. As Mike, the doctor, Martin Kildare gives subtlety to the divide of sensitivities inside a successful man with Southie roots. Sophina Brown, as his wife, offers the third element: a woman raised with greater sophistication, whose struggles to connect her husband’s present image with his past may loom as large as Margaret’s. 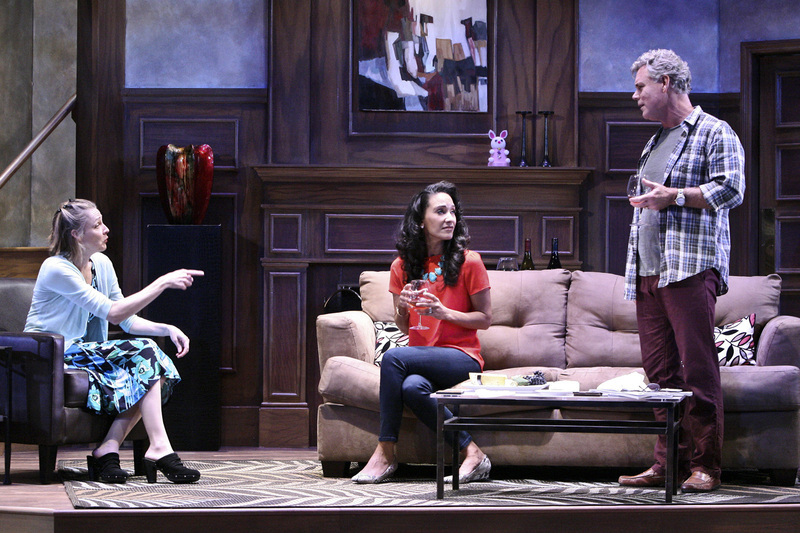 Though not touted as a comedy, “Good People” has many laughs in the midst of these tensions. 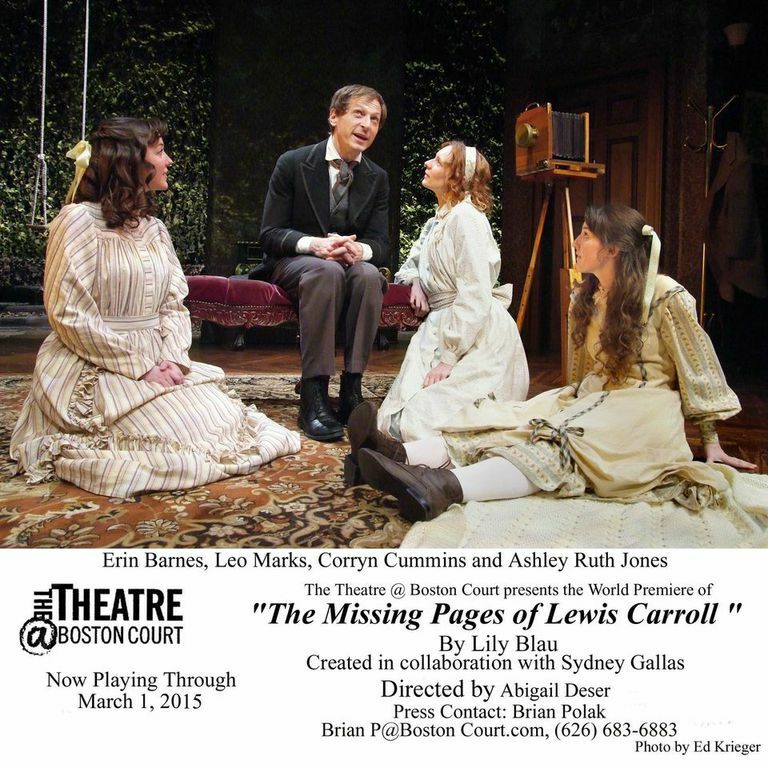 The title of this play comes from the phrase, “He (or she) is good people” – an important valuation in South Boston.The rest of the play is, in the end, an examination of what it means to be, or not be, good people – a goodness which resides in there somewhere, apparently particularly among people in extremity. 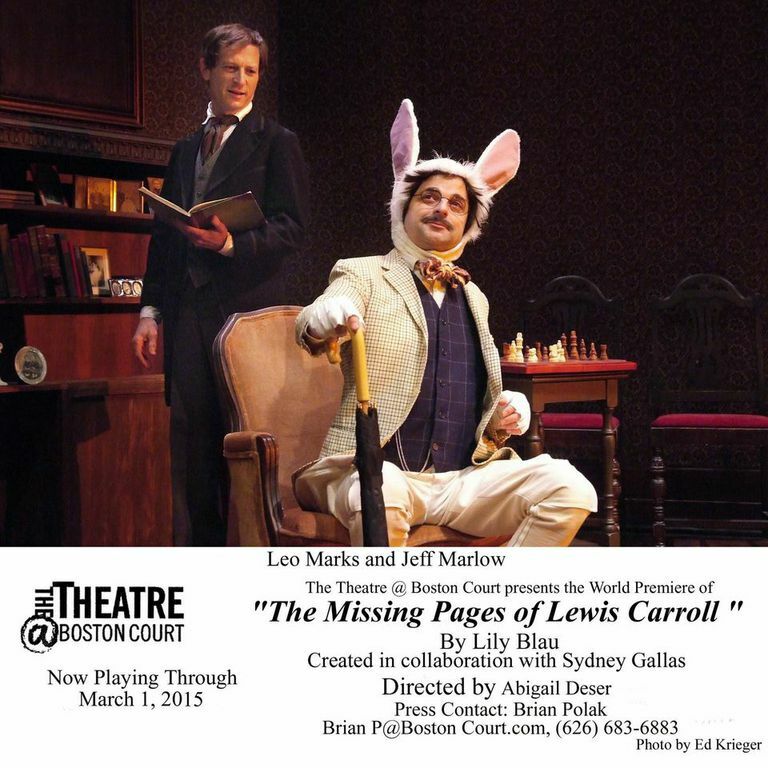 Though not as compelling as “Rabbit Hole,” as a play, the performances make the thing worth watching, as does director Jeff Maynard’s handling of this episodic tale. He smooths the transitions from place to place, and makes great use of Stephen Gifford’s representational set pieces. Adriana Lambarri’s costumes create instant class separations, and underscore the central themes of the piece. For us west-coasters, who may have only heard of Southies in relation to the more local arrest of Whitey Bulger, it’s a look at a part of the country where the turf wars are more distinct, and more ingrained in social history. It’s also a good examination of why, at least in certain parts of the country, my sociology professor was probably wrong.